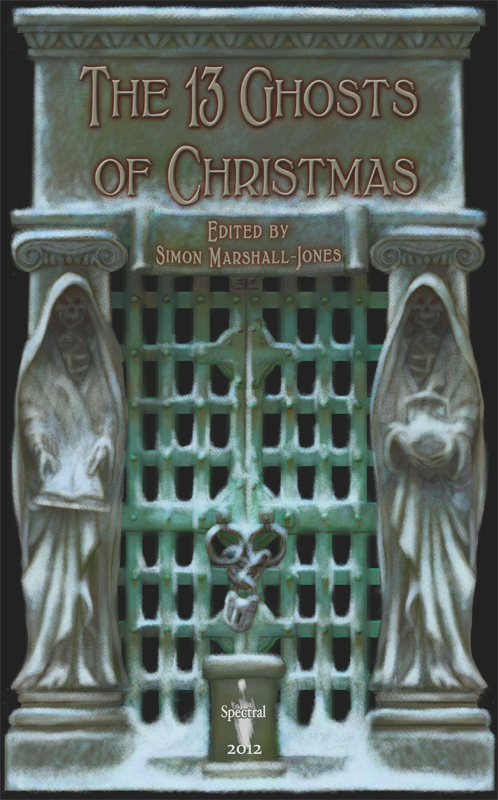 Just a short blog this morning, to let you know of a slight change to the physical format of the hardback edition of the first Spectral Christmas Ghost Story Annual aka The 13 Ghosts of Christmas. It will now feature cloth boards in a fetching dark green, foil stamped titles in gold on front and spine, and wrapped in a full colour dustjacket – altogether a much more classy affair appropriate to the book itself. It will still have crimson endpapers and red silk bookmarker, and will still retail at the same price as before. We are glad to report that two-thirds of the print run of the limited numbered hardback have already been claimed. If you are a fan of the ghost story, or know a friend or relative who is, this finely produced volume would make an ideal seasonal gift or stocking filler. Pre-order your copy today before they all disappear! NOTE: The book will be available from mid-December – all orders will be sent to purchasers at that time!